Jed Patrick is convinced he's doing all it takes to keep his family safe-new names, new location, new identity. But just when he thinks he finally has his life back, trained men claiming to be CIA agents break in and threaten his wife and daughter, proving once and for all his family will never truly be safe until he eliminates the agency dead set on hunting him down. Not knowing if Karen and Lilly are better off by his side or in hiding, Jed is determined to protect them while finding a way to use the classified information that he possesses to dismantle the Centralia Project. But he soon learns that eliminating Centralia may require compromising his own values. As danger escalates, Jed isn't sure whether there's anyone or anything he can trust-including his own senses. 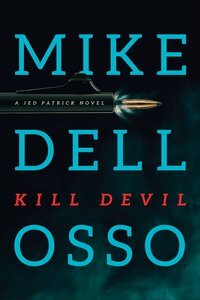 About "Kill Devil (#02 in Jed Patrick Novel Series)"